What a great Roundtable discussion! Rear Adm. Barry Bruner, Commander Submarine Group Ten and lead for the Task Force for Women in Submarines gave the Roundtable details on the current plan to place female officers aboard the Navy’s submarines! Training will start this summer! The Admiral answered questions and explained the Navy’s needs to expand the nuclear career pool by inviting women to pursue submarine careers. Obviously, placing women in submarines is controversial and the questions touched on those issues but the admiral addressed each one fairly and explained the needs of the Navy were driving the requirement. According to the admiral, the number of males receiving technical degrees in the US continues to drop and is now at 25% of college graduates which limits the number of eligible candidates for this career field. In the last five years, the Navy has not met its accession goals for submarine officers twice! He said the leadership of the Navy’s submarine force was driving this effort as they looked to the future. Bottom line: No agenda was driving this effort and it was totally a combat capability need being met. Bruner said the plan does not include enlisted sailors at this time but studies are being conducted on cost of modifications for possible placement. The plan must be treat everyone equally and do the right thing with tax money for modifications of the submarines. The women officers in training will arrive on board in late 2011 or early 2012. 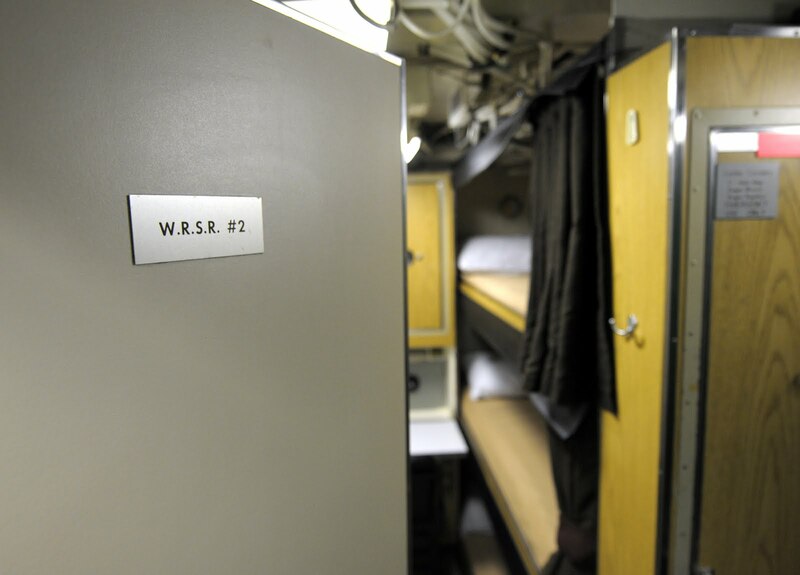 When training is finished, the plan is to place a senior supply officer and two ensign junior officers together on each selected submarine. 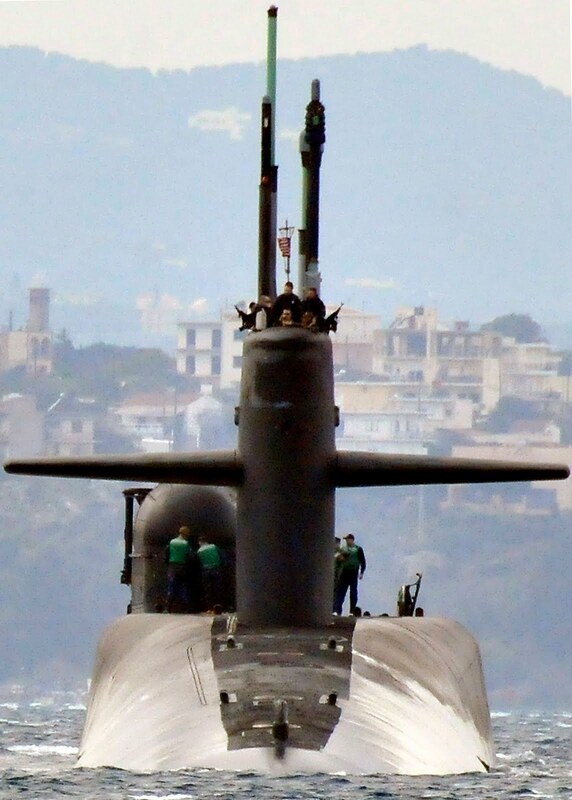 They are 36 crews on 18 submarines that could be part of the program as it currently is envisioned. The admiral did spend two tours of two weeks each on board mixed gender submarines in the Australian Navy and felt there were no issues. In fact, when he left, the biggest take away from the experience he had was “no big deal”. In response to mili tary spouse concerns (since all current submarine sailors are men this would be wives) the Admiral held a town hall meeting at Kings Bay Naval Submarine Base, GA. He said they generally were supportive but that there was some anxiety seen due to change. But he felt that most of the wives were not against the plan. The key is training and the women officers will meet the same criteria and standards. 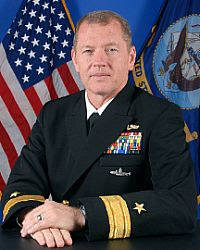 In response to health concerns he felt that this hot button issue was often used by many against the program to integrate women into the crews and that the medical personnel have and will continue to study any possible issues (including the health of possible fetuses in the submarine environment). The admiral apparently has reason to be aware of those opposed to the integration of the female officers as his blog has received many unprintable or unpostable comments from those opposed. As with the integration of women sailors on board surface vessels in 1994 there will be challenges and change but that training for all involved will add a valuable and talented pool of women to the submarines as well! For additional information please go to Navy to Start Training Female Submarines in July. If you would like to read a transcript or listen to a tape of the Roundtable please go to DoDLive! Best wishes to the first class of female submarine dolphin wearers! Be sure to add your comments but remember this is a military family blog and we do want you to express your feelings but keep "trash talk" for the courts, fields, etc.! BRAVO ZULU. Just found your blog via Goggle daily submarine alerts. You did an excellent job with women submariners story. See me on Facebook: Nancy Yockey Bonar, read my profile to see what I'm up to with "Dive into Cooking."